Not much sewing has happened around here this week. I’ve been feeling unwell since the weekend and have mostly been lying on the couch willing myself to feel better. I haven’t been feeling quite as bad for the last two days, but I think I’m still recovering my strength. I’ve been doing some watercolours (and knitting a bit too) to fill in my spare time since it’s something that I can do while sitting/lying down and doesn’t require a lot of physical effort. It’s actually been kind of fun and calming. I had some sad news on Tuesday night; my Mum called in the evening to say that she had taken Smokey (our cat) to the vet, and the vet said that he had had a seizure and was very ill, so my Mum had to put him down. I’m very sad, we’ve had him for 11 years and he was such a pretty, friendly cat. He was beautiful gray Blue Point Himalayan, and his eyes were gold with flecks of green. He used to come and sit on my stomach when I was sick to keep me company, and he had the sweetest way of purring when he wanted food. Oh, and ya, he could read! I remember this one time when I was sitting in a chair reading with him on my lap, he was scanning the pages and when I turned to the next page he reached out his paw, turned it back, scanned the bottom of the last page, and then flipped it again to the next page. I loved him a lot and I really miss him. Unfortunately I don’t have any pictures of him to share with you because they are all either on my broken computer, or in print form. I finished sewing all 16 buttons on the new pillow covers last Friday. I based the pattern on the envelope style covers that were on my original pillows, and then also down-scaled the pattern I made to fit the pillows that were on Alex’s couch. When we moved in together he had one brown couch with brown pillows, and I had one white loveseat with black and white pillows. We figured it would make the living room a bit more cohesive if the pillows on the couch matched. The darker spots and flowers on the pillows are not black, but rather a chocolate brown. We have sage green walls which actually look a bluey-grey at certain points of the day, so we figured this fabric would go nicely. I made a really cute fabric bracelet this morning and button earrings last week. Unfortunately all of the pictures I took turned out bad and now it is too dark too take more. If I can get some good ones done in the next little bit, I’ll put them up. 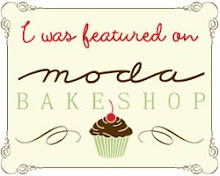 By the way do you like my new blog header? I got the idea from Vanessa over at V and Co.
I’ve been trying to come up with some ideas of where I could try selling my handmade items or how I could advertise that I can do commissions (for quilts, etc). If anyone has any ideas, I’d love to hear them! Love the header! And your story about your cat turning the page is...heart-rending! 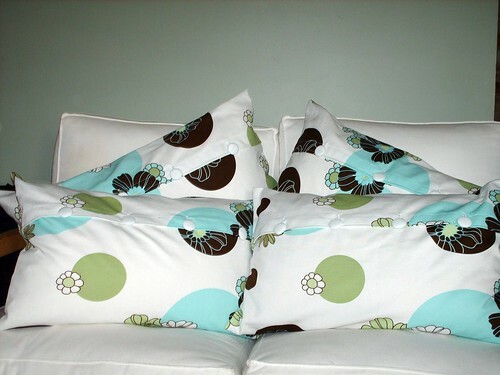 The pillows are gorgeous, Kaye! Wow! That is so cute about your cat scanning the pages, I am sorry to hear he had to be put down. 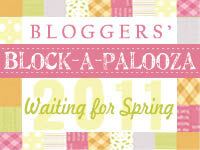 And I agree with Vanessa, the new blog header is fab!